During the night time, bats fly out from under Congress Avenue Bridge. If you have been to Austin or visited and not seen this, it is a highly recommended thing to see! 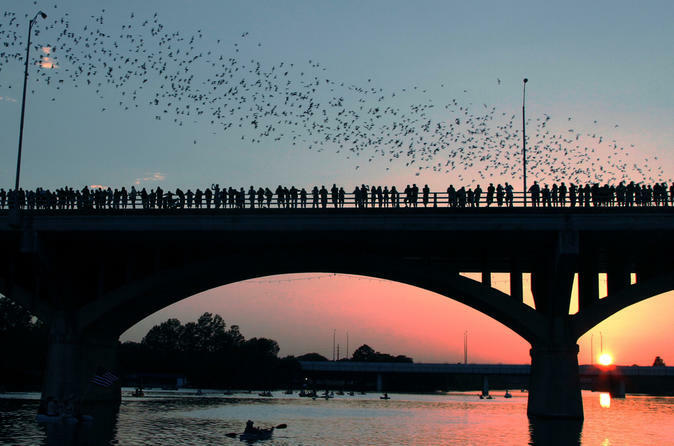 This tour begins with a ride around Lady Bird Lake and will stop at the perfect time to view the bat's flying out from under the Congress Avenue Bridge. This tour is seasonal and only runs during the summer months.